For the eighth straight year, The Theater and Performing Arts Committee of The Entertainment Arts and Sports Law Section (EASL) of the New York State Bar Association, in collaboration with The Commercial Theater Institute (CTI), the industry’s leading training program, is proud to host an intensive 2-evening CLE seminar focusing on the roles that theatrical lawyers have in guiding both new and seasoned industry professionals through all of the stages and legal aspects of theater producing. Led by the top entertainment lawyers in the business, the first evening will cover the acquisition of underlying rights and securing contracts with the dramatists, as well as the engagement of other members of the creative team. The second evening will focus on capitalizing development and production of stage plays and musicals, including new avenues for fundraising unavailable to producers a few years ago, as well as a panel discussion addressing emerging trends and “hot topics” in the industry (including recent movements by the actors’ union to have their members share in net profits, new case law regarding fair use and changes in fundraising techniques and documentation, among other issues relevant to practitioners). This program approved for up to 7.0 credit hours, in the area of professional practice for experienced attorneys only. This program will not qualify for newly admitted attorneys because it is not a basic practical skills program. If you’re not a member of the NY State Bar Association (NYSBA), you can enroll by completing this form and emailing it to Kristina Maldonado at kmaldonado@nysba.org. If you are a member of the NYSBA, you can enroll through the NYSBA website or by completing the form above and emailing it to Kristina Maldonado. 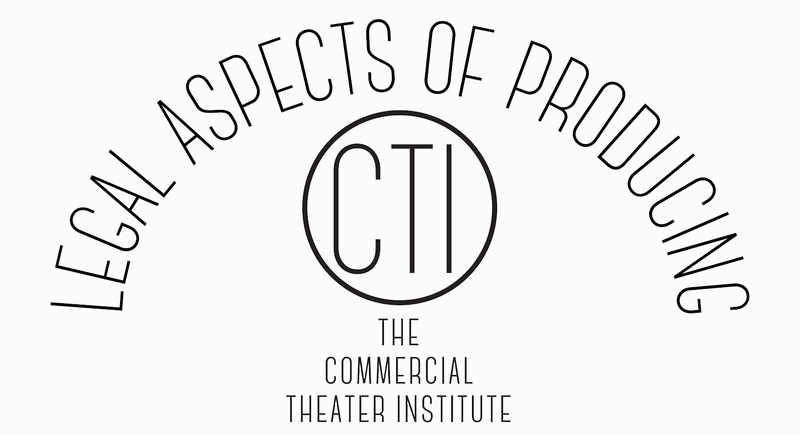 If you have any questions about enrollment, please email the CTI staff at commercial.theater.institute.info@gmail.com. NOTE: Enrollment is handled by the New York State Bar Association (even if you’re not an attorney). Please see the information above to enroll. To review our cancellation policy, please visit the About CTI page.